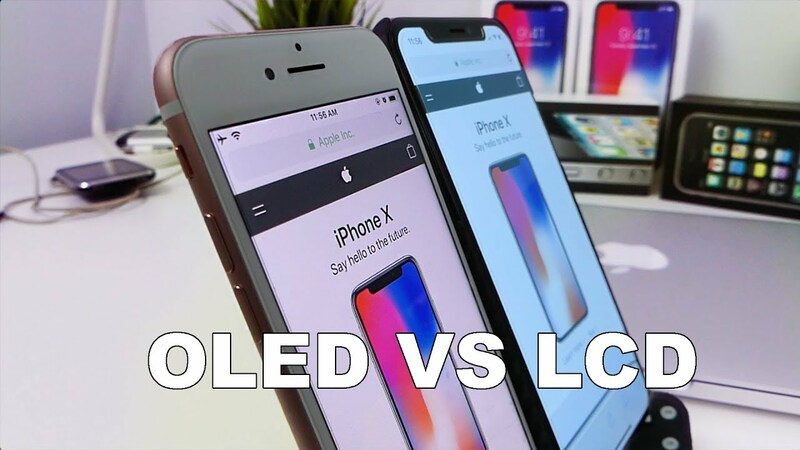 iPhone X LCD VS OLED? 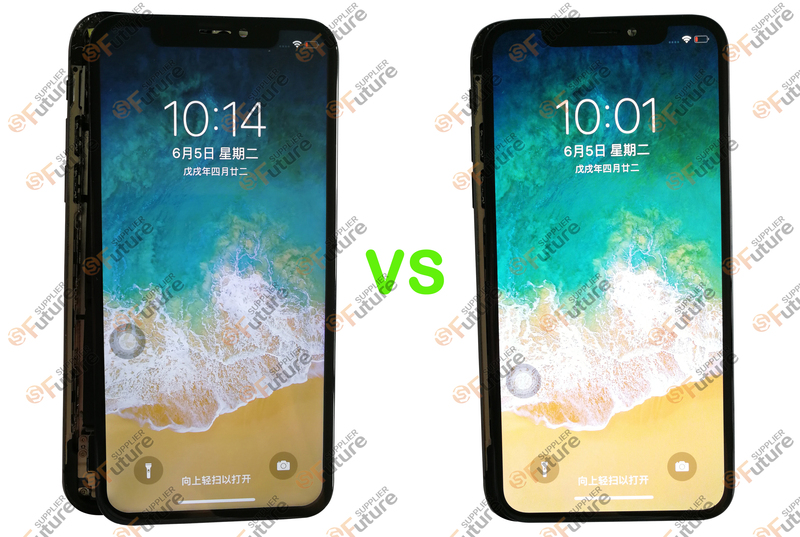 Comparing from the front, there is no obvious difference between high copy and OEM screen. And you can easily see the “fringe”. Comparing from the back, there’s still a big difference. First is color difference between the camera lens coating. Second is liquid crystal drive ic, high copy is smaller than OEM. The last is high copy screen doesn’t have four connector contacts, which may have an impact on the signal. 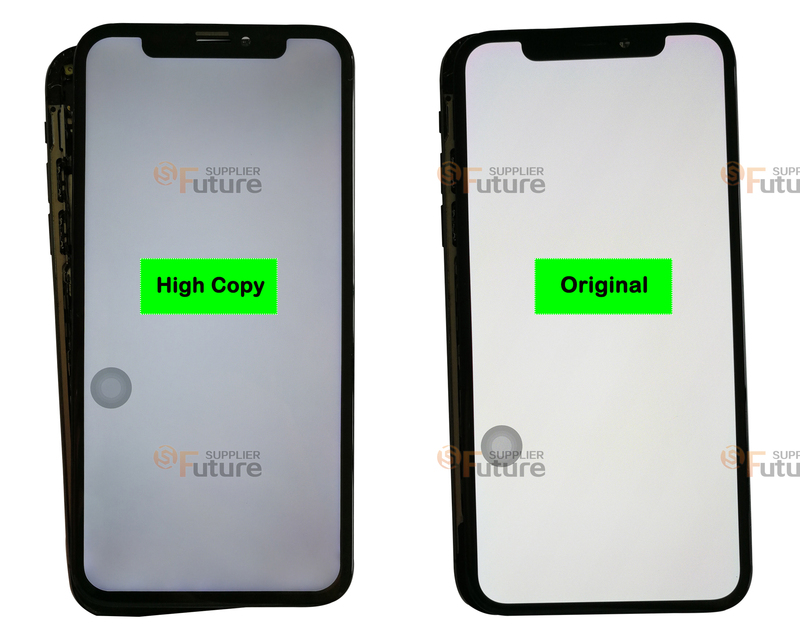 The high copy screen looks thicker than the OEM which will have an impact on the appearance after installation. 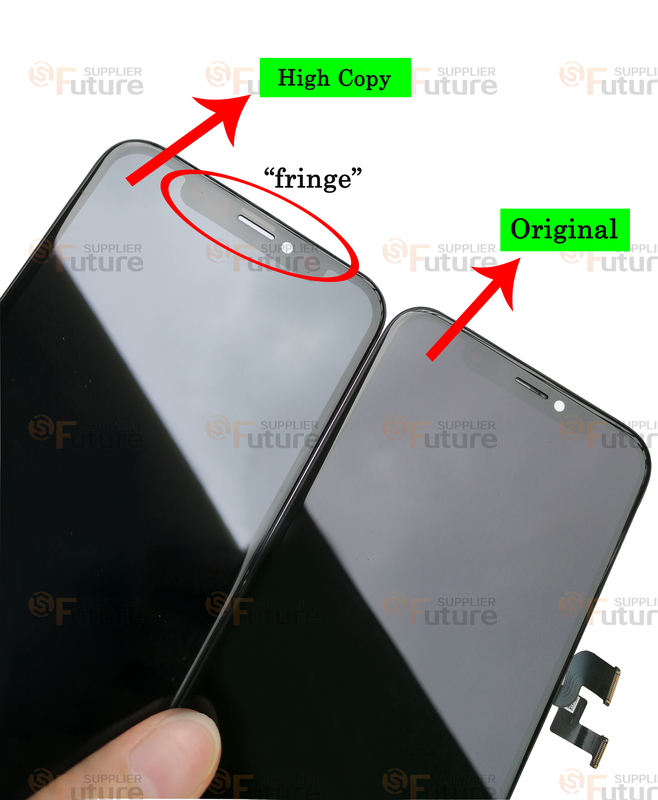 Through measuring, we can find that the high copy screen is about 0.6mm thicker than OEM screen. After installation, the high copy screen are thicker than OEM one too. 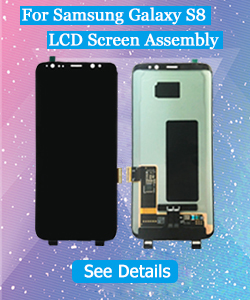 OEM screen has high brightness and uniform display, while high copy screen has dark display, on the white screen interface, there are clear shadows under the edge of the corner. The backlight of high copy lcd is obviously uneven and shadows appear along the edge of the screen, while OEM screen won’t. Fortunately, 3D touch and screen touch function work well. Glass lens Original High Hardness Corning Glass Ordinary Glass material, Poor Hardness. Backlight NO Yes, Backlight works with a lot of heat. 1.Before light up the screen, the high copy screen has obvious boundaries between display and non-display area. 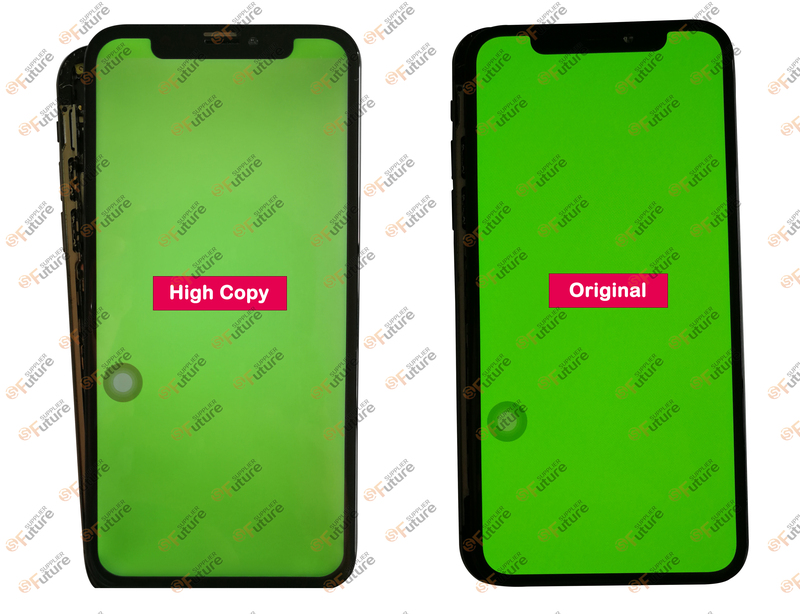 2.After light up the screen, high copy screen has dark display and color distortion, The edge of the display area will have varying degrees of brightness difference. 3. 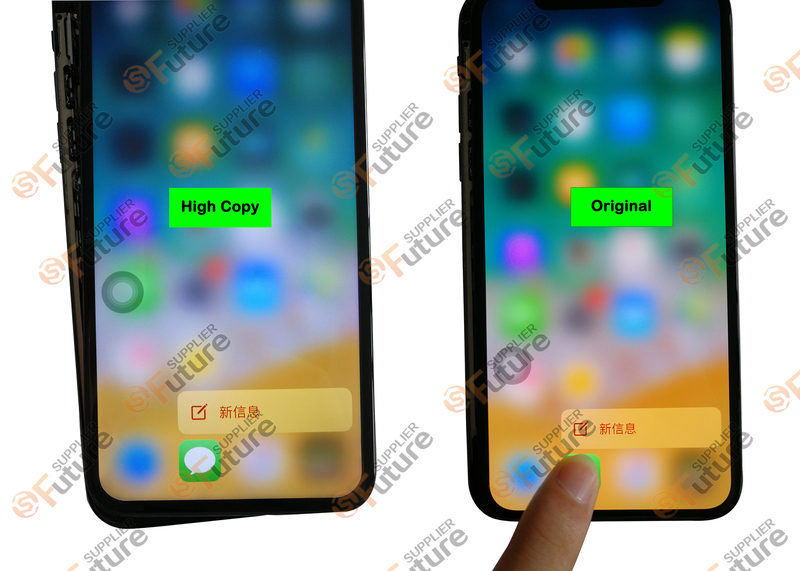 When you start using it, Screen Touch and 3D Touch function work well, but the high copy screen is getting hot and touch sensitivity declines. If you are playing games just right, you will crazy. 4. As high copy LCD needs backlight, so the power consumption is faster. 5. In terms of handfeel, high copy screen is poor than original owing to screen thickness. It is more easy to appear white spots. These conclusions are all from our testing, if you have any other different views,please comment below or contact us directly: sales@futuresupplier.com. This entry was posted in Uncategorized on June 7, 2018 by Scott Patrick.